Season starts with a win! 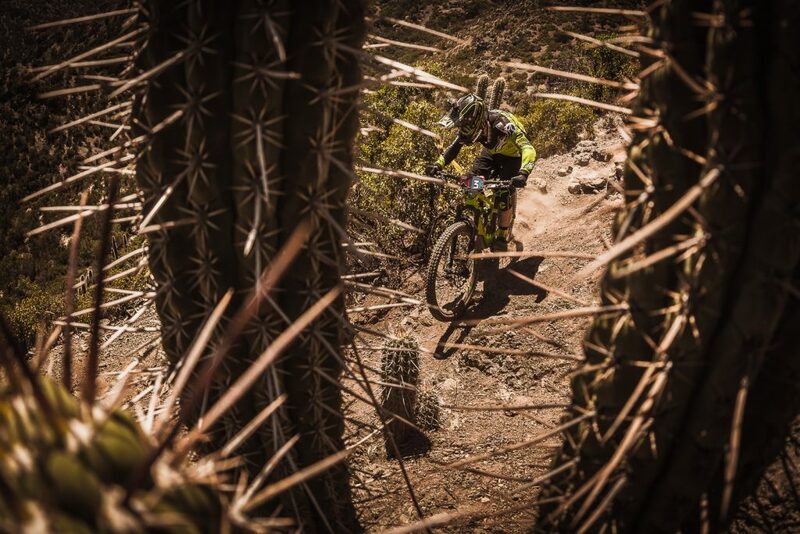 For my 3rd edition of « Andes Pacifico », I was excited to come back to Chile to escape the freezing temperatures from France, ride good tracks and of course be back on racing! The Montenbaik crew, which organizes it since 2013, and has year by year improved by listening feedbacks from international riders but also from the 90 riders who attend this event. For Jérôme it’s a must do! During 5 days, this must-do event start from the high Andes mountains at 3600 meters elevation above Santiago, and reach the coast in the pacific ocean side in « Cachagua ». 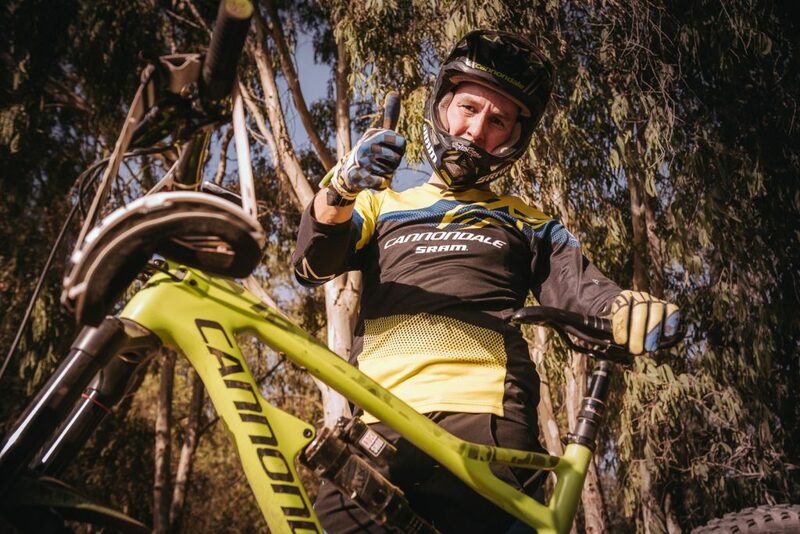 This multiple days race offers intensive stages with lots of pick up shuttling in the furthest countryside of Santiago to ride some of the best trails! Some days we even reach more than 40 minutes timed stages (for the best), with « anti-grip » terrain where you need to deal slippery ground and cactus trees in some inside corners! This year Chile has been caught by serious wild fire and the organisation has to find a plan B in last minutes to change route! Big up to the organisation crew for this amazing reactivity! 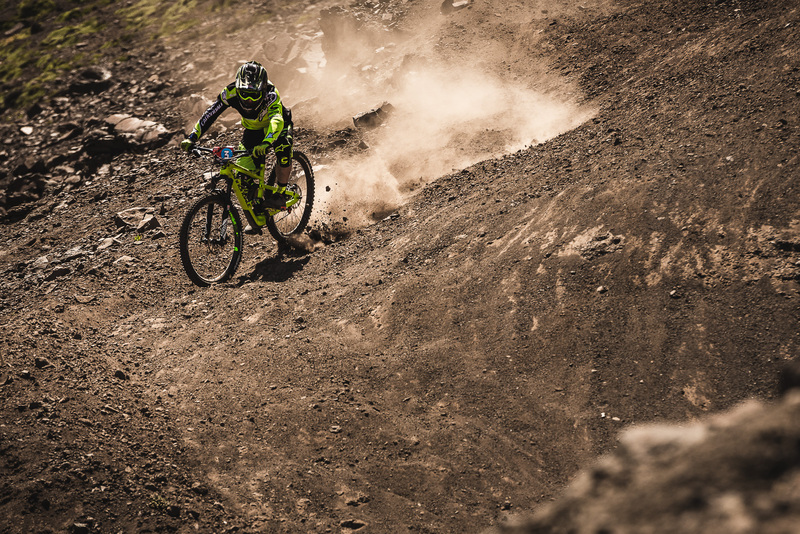 Blind races has always fit with Jérôme’s style of riding. 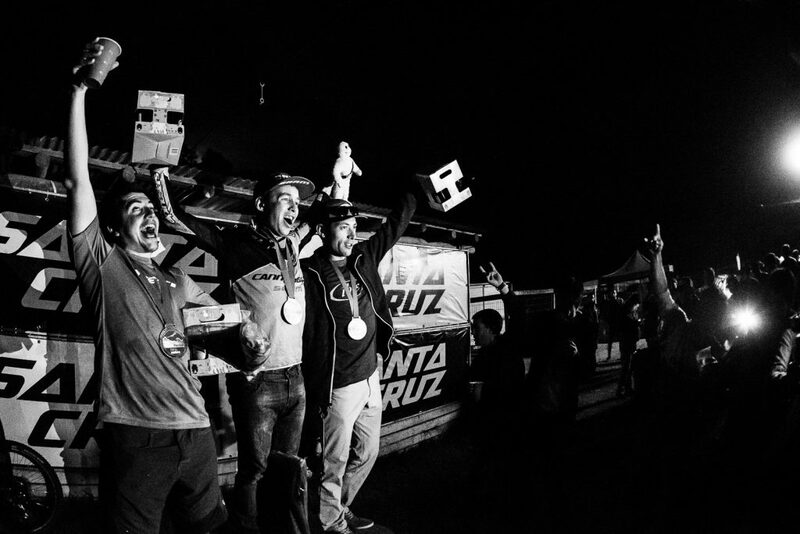 International riders have travelled worldwide to join the event: Marc Scott (Santa Cruz), Yoann Barelli (Commencal), François Bailly Maitre (Ibis), Cédric Gracia (Santa Cruz). By reading the best lines, Jérôme manages to be in the first spot at the beginning of the week. 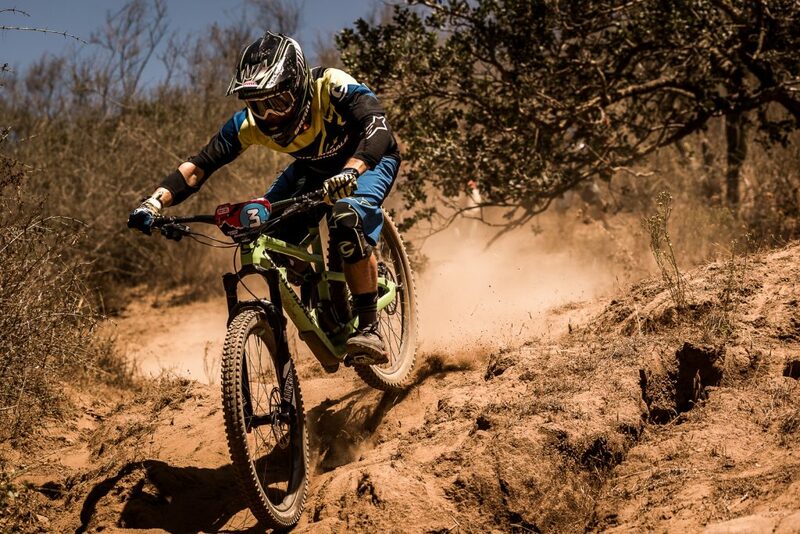 Some excellent riders coming from Chile are pushing their limits too, like Milciades Jaque or Pedro Fereira who respectively end up 2nd and 4th at the end of the week. Jérôme delt also a strong François Bailly Maitre, winner of the 2016 edition, who finishes in 3rd position overall.